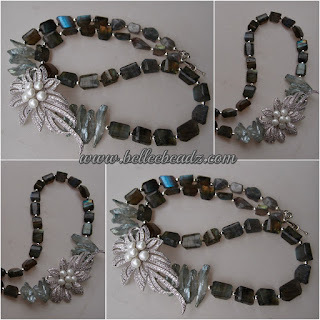 Lovely faceted labradorite flashy nuggets measuring between 12mm - 15mm and titanium coated quartz embracing a delicate but eye catching side focal featuring shell pearls. Photos taken with indirect indoor lighting. Hoping for better weather so I can do some outdoor photos.